We are a multidisciplinary design firm based in Bangalore, India. We collaborate and use an inclusive design process to give an unique project experience. Our work is an expression of our beliefs. Unchartered paths excite us. We react instinctively to a design problem. There is no formula and we don’t have a style. We debate and argue galore. But at the end of a sore argument usually emerges a great idea. Nothing surpasses that moment in a process when a beautiful idea is born. Not even chocolate cake. We love chocolate cake. Process in design is of paramount importance – even if it means we ended up exactly where we started. We believe in strong ideas. Ideas that are native to their context. They automatically become unique! We believe that originality is a byproduct of integrity. We love this planet. We believe that being green means being receptive to the climate and to available materials. We believe that light is also a material. We don’t hire people we can’t be friends with. We remain true to our clients and to the contractors we work with. We like to keep it simple. Simple. Incepted in 2011, de Square is a multi-disciplinaryyoung firm, of enthusiastic, committed professionals willing to experiment and innovate. We at de square believe architecture plays a huge role in shaping the environment around us.We are dedicated to the design of high value, environment friendly and sustainable architecture. We give a lot of importance to the “nature” in all our projects. We try to get the right balance between the built and the un-built. We are passionate about every project that we do irrespective of the context or the scale. We undertake only a few projects at a time so that we can work with great intensity on every detail right from the concept to the complete execution at site. We undertake a wide range of architectural, interior and urban projects. Evolve Architecture Studio is a Bangalore based firm providing Architecture ,interior design and landscape design services Design is a process oriented, innovative adaption at evolve, Through this there is an attempt to explore the unknown and transcend to higher levels of design territories. Evolve comprises of a dedicated team of professionals, driving an intense backend research and practical methodologies, resulting in value based innovative designs. We strongly believe in partnering with our client to provide the right design solution with a rigorous process and cost effective execution protocols. ma+rs is an architecture and interior design studio based in Bangalore, India. We are focussed on relevant design which is not merely about form but more about why and how the project is formed. Process plays a very important part of our design. The unearthing of beauty in all the work that we do comes from a study of the dynamics of the use and the intricate relationships it forms with its context. This is and will always remain the basis of the studio. This essence is one which we hold closely. Even if the narratives or projects get bigger or more complex the focus will always be less about making large things radical and more about looking at the smaller things radically. Our strength lies in transforming high value concepts into technically sound end products. 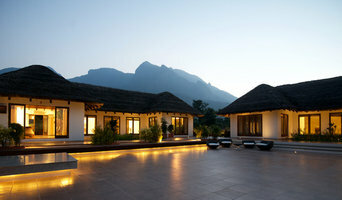 Anil Dube, Architect , working out of Bangalore , graduated from the School of Planning and Architecture, New Delhi . Having started his practice in 1984 he has dealt with buildings of various genres. He runs a small firm - basically a one man show – and showers all the attention to the minutest of details in a passionate way. In his designs, the walls are used as an elusive element that moves with the choreography of circulation, climate, and views from within the structure. In relation to the external spaces one gets fleeting glimpses of the green as one moves around within the house. This keeps you connected with the outside and the extensive use of clear glass allows even quality of light blurring the boundary between inside and outside. The inner spaces are generally dramatic with abundant day lighting and ventilation. Sunlight is also allowed to filter in a divine way through skylights, to give the living spaces, with muted colors, a restful uncluttered feel of expanse and openness. Each project is Client specific and reflects their lifestyle. Namma Design is a design consultancy firm providing Interior & Architectural design for residential, corporate offices, retail, hospitality sectors. Namma Design is committed to design excellence and sustainability. Our clients include global companies, home grown companies and start-ups. We believe in creating designs with strong concepts and stories. We help clients bring their ideas and concepts to reality. 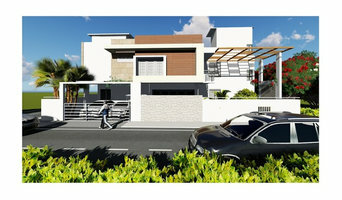 A start up architectural firm based in Bangalore, established by Architect Tejesh Kumar. Tejesh is an architect and a self learnt fine artist. At Space Art & Architecture Collective, we create a versatile body of work ranging from architecture and interiors of residences, corporate offices, commercial, and hospitality spaces. SpAArC strives to understand the requirements of clients and deliver designs that not only suit those requirements but are contemporary, elegant, and unique. At Perfect Interior Designs, our interior designs are a fine amalgamation of aesthetic beauty, stalwart common sense and sheer elegance of poise. We design paying close attention to both the needs and the want of the people who will be its ultimate residents. You spend a fortune on buying an apartment, Villa, Bungalow, or a house and then come the challenge as to how you transform it into a beautiful home with the Best Home Interior Designs, where you can feel at home. Your corporate office space also has to look on par with your competitors with the latest infrastructure and all facilities for your employees with great looking Office Interior Designs. We fulfil this need of your Home Interior Designs and Office Interior Designs with our interior design solutions with complete client satisfaction. We are among the Top Interior Designer and Decorators in Bangalore. A young creative thinker with an experience in interior design and Architecture. We design spaces with an endless imagination as a source of inspiration. Following the various elements of design, We render space as a canvas with beautiful elements of form shape and colours to create the warm and elegant space of its own kind which speaks the stories of fine taste and sophistication with comfort and style. A perfect balance of function and aesthetics is my fundamental of interior design to create a timeless home experience. 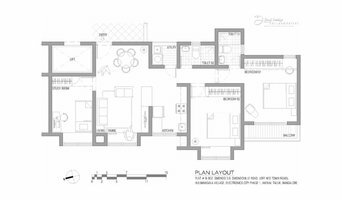 How do I find the best Bangalore architect for my home design or renovation project? When building or renovating your home, you don't simply hire an architect or building designer — you build a relationship with them. Be sure you chose a home architect who will be involved in all phases of the design process, from the initial concept to the completed construction. Architecture is an incredibly technical profession and one where getting things wrong can literally put lives at risk, so ensure you hire a professional with a valid license or an architectural firm to maintain high quality and standards. Your next consideration will be architectural style. Some residential architects specialise in designing traditional homes or farmhouses, others in designing modern replicas of traditional homes. While a few have a knack for imagining bolder, more futuristic architectural design in Bangalore that incorporates the latest technology. How much does hiring an architect in Bangalore cost? Home construction and renovation often have a preset budget and hence it is important to understand how much architects charge. While there is no set payment structure, independent architects may charge differently from architectural firms. Architects sometimes choose to calculate their fees on the basis of a per square foot rate. In rare cases, especially with smaller projects, Bangalore architects may choose to ask their clients for a fixed fee. Make sure the total figure and payment schedule is agreed as part of your contract, particularly if you are trying to accurately estimate the cost of building a house. 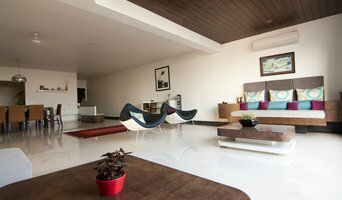 Find a home architect in Bangalore on Houzz. 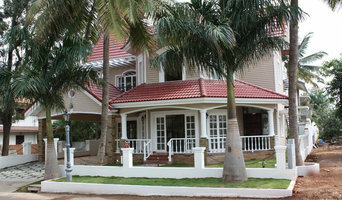 Narrow your search in the Find Pros section of the website to Bangalore architects. You may also look through photos projects to find building designers in Bangalore who have worked on a project similar to yours.